The right attitude is everything in any job or any career. As adults we all know this to be the case. It is one of the most fundamentally important pieces of advice that we can give to the next generation. In the teaching room the right attitude gets results. 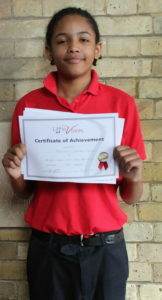 If a pupil approaches their lessons with enthusiasm, energy, focus and determination they absorb so much more. If they go away and practise each week with the intention of trying their very best they will get results and consistently develop. Perfection is not the key to success necessarily – it is the right attitude to be the best that you can be in practise and in performance! What do we mean by “the line up” – well it is the section of the exam right at the beginning. The chance when your child presents themselves to the examiner. We have talked many times about the life skills that children acquire at Little Voices and this is one of the fundamental ones. A really easily transferable skill into life. The children are naturally slightly nervous / anxious prior to walking in the examination room, this is a feeling that they will probably experience many times in their lives going forward however we try to help them to understand how they are feeling and channel that energy into their performance. After all that energy is not negative it is truly positive adrenalin that can be used to catapult them through the examination. We talk about this in the lesson so many times. We go over and over the presentation of their piece and the presentation of themselves. It is the only part of the exam time where the children look and communicate directly at the examiner. They walk in and announce the title of their piece, who it is by and a brief synopsis of what it is about. They then go on to introduce themselves; their name and the character that they are playing the role of! We all need to present ourselves, make a speech, introduce something in our lives and ensuring that you have good posture, a clear speaking voice and a well projected voice really helps. These skills are so important. The art of practising, repeatedly, what you are going to say is crucial to an effective performance and overall making an outstanding first impressions as you enter a room is key to success! No wonder we go over this part of the examination several times during lessons on the run up to an exam, the benefits, long term, are huge for each child. Maybe ask them to present their piece to you tonight or how they presented their last exam piece? Watch how they walk into the room, hold themselves and deliver the introduction. This FIRST IMPRESSION that a child creates as they walk into the room has to be superb. No shuffling of feet, no heads hanging low or sad looking faces. It is always a bounce in the step, a smiley face and an eagerness to deliver!! They all started with the primary goal of ensuring that every child had the opportunity to say ONE LINE on stage in a performance, in front of an audience after a limited number of days of practicing (4 in total!). The children that came on the first few theatre weeks developed the structure so much because they learnt things so quickly! We put a whole performance together in 4 DAYS and they now have at least one line but often many, many more!! 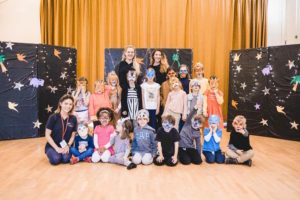 It is absolutely astonishing how quickly children as young as 4 years old learn their lines, their movement and to join in and make new friends. It is heartwarming to see the children looking after each other at lunchtimes, the young gentlemen opening doors for the girls and the overwhelming growth in confidence of all of the children form 4 right up to 16 years! They believe in themselves and their happy faces as they leave on Day 4 are proof of the fabulous experience that they have had together. I will never forget one young girl who has been coming on theatre weeks for years and never missed one yet saying that she would rather be on a theatre week with Little Voices than at school every day! Parents are gushing with compliments and always amazed at how much the children learn. It really is a very valuable experience. It enables your child to put all of their lessons and exams, training and skills into practise and show off what they can do. We accommodate the needs and skill set of every individual child. Imagine coming along with family and friends to see their hard work come to fruition on day 4! Children can be dropped off from 9.30am. The children on day 1 are all very apprehensive and nervous. BUT it is guaranteed that by lunchtime they are all having a ball! I have never known a situation where we have needed to ring a parent and ask them to collect their child! They all stay and they all love it. They run in on day 2 and you have very tired children every evening! The children go home with their script and character on Day 1! They practise their lines and come back on Day 2 ready to stage the scenes. We try to aim to have staged the whole show, choreographed all of the songs and learnt everything by heart by lunchtime on Day 3! Day 4 is the dress rehearsal and final performance. You do not need to buy or make any costumes. We just ask for things from home that children already have like black leggings or simple props and dressing up type crowns etc for example. We do not want parents spending any further money! It is amazing how fabulous all of the children look in the performances and the creativity that emerges! Theatre Weeks are so much FUN! A script and a performance of your children’s hard work in FOUR days ONLY! Children up to age 16years can enjoy these weeks. 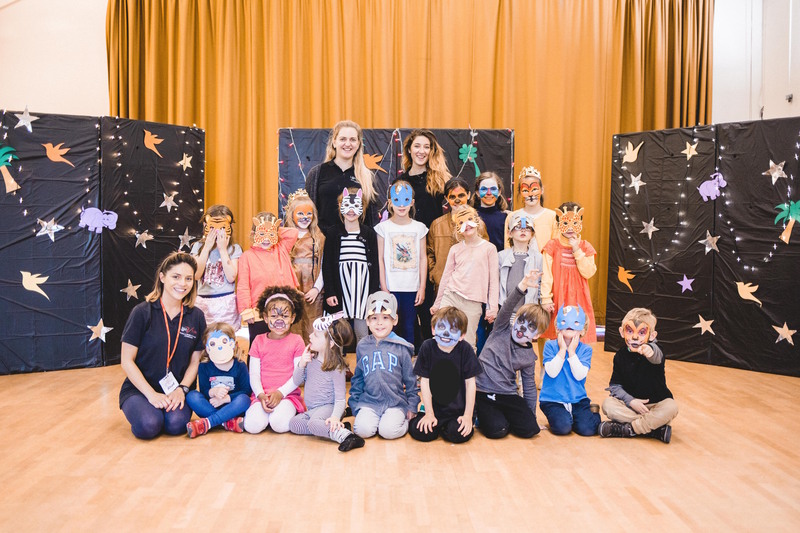 The children make new friends, learn so much about performing, acting, singing and stagecraft!